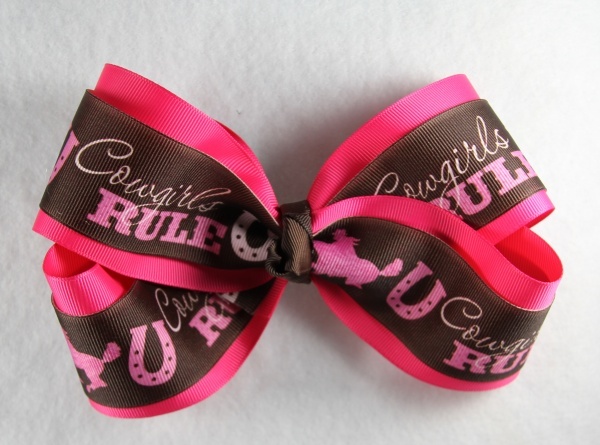 Hot pink and chocolate brown Cowgirl's Rule Bow is awesome. This is a double layered bow with a 2.25" hot pink grosgrain ribbon and a 1.5" brown on top. The chocolate brown ribbon states "Cowgirl's Rule" and then pictures of a horseshoe and a cowgirl riding a horse. The center is wrapped into a French knot with a brown grosgrain ribbon.